Daily Mirror - Do you run short of breath often? Do you run short of breath often? Feeling a sudden discomfort as if sufficient air is not around you to breathe can be really frightening especially if it is a first - time experience. I personally have experienced this when being admitted for Pneumonia about an year back. It gave me a near-death feeling at times and trust me it was so scary and frustrating. So, today on Health Capsule, let’s discuss this popular topic with Dr. Solith Senanayake, Lecturer, Department of Pharmacology, Faculty of Medical Sciences, University of Sri Jayewardenepura. “Shortness of breath can occur due to various reasons in medically ill people as well as in healthy individuals, so it is certainly a crucial complaint which should be tackled carefully by health care professionals,” says Dr. Senanayake. Shortness of breath, medically referred to as dyspnea, is defined as an intense tightening sensation in the chest, air hunger or a feeling of suffocation which can occur long - term or as a sudden reaction. Most of the time, shortness of breath occurs as result of an underlying medical condition, but rarely takes place in a healthy individual. This happens due to strenuous exercises, extreme temperatures, massive obesity and the exposure to high altitudes. “However, major diseases which can give rise to this symptom include ones involving the cardiovascular system, respiratory system, infections, allergies and certain nutritional deficiencies like iron,”says the doctor. “Acute shortness of breath, which may occur from minutes to hours, is quite different from the chronic condition which usually develops over a period of time (weeks to months). So when a patient visits us, the first thing we would try to identify is the time duration along with the type of presentation and the onset” explains Dr. Senanayake. Shortness of breath presenting with an acute onset can be due to various reasons as follows. Respiratory tract infections (Pneumonia) - Usually accompanied by symptoms like fever and productive cough; which gives out sputum or mucus. Anaphylaxis (severe allergic reactions)- Associated with a rash followed by itching and swelling along with an exposure to a possible unusual substance or occasion which can arouse an allergic reaction in the body. Asthma- A sudden onset of shortness of breath associated with wheezing. Thrombus- A blood clot causing an obstruction in an artery supplying the lungs. Pneumothorax or a collapse of the lung followed by a trauma, stabbing, road traffic accident etc. 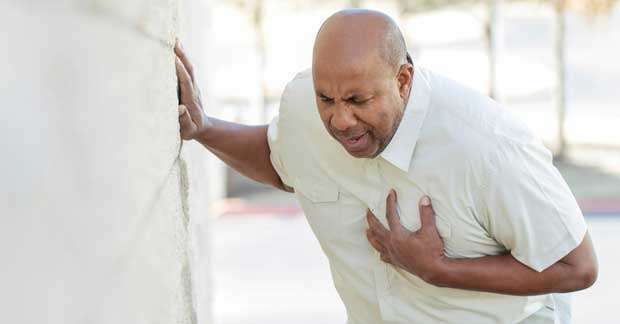 Heart attack or Myocardial Infarction due to the death of cardiac muscles as a result of poor perfusion-cutting down the oxygen-rich blood supply. This can often be associated with a tightening type of a chest pain radiating to the neck, jaw, shoulders, abdomen etc. Pregnancy- This fascinating physiological phenomenon can cause changes in the circulatory and respiratory systems of women resulting in an acute onset of shortness of breath which can last throughout the pregnancy. 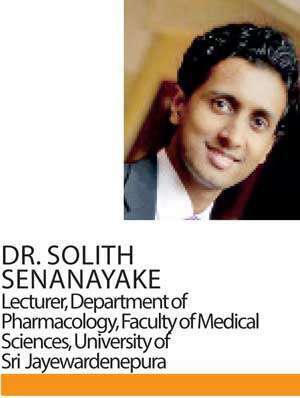 According to Dr. Senanayake, shortness of breath persisting for more than 3 months duration is usually referred to as chronic; which may sometimes initiate as an acute symptom and last longer, or appear from time to time like symptoms of heart failure and Acute Asthma Exacerbations respectively. He further mentioned that even though the majority of patients would have a more benign cause for shortness of breath, it is highly advisable to keep an eye on some of the more sinister conditions like lung cancer, heart failure of which the only initial sign might be just shortness of breath. “So, the important thing to take note of is, not to wait until the last moment to seek medical advice, but look for early medical advice if you feel like your breath is quite out of your control”said Dr. Senanayake. Causes for chronic shortness of breath are as follows. Chronic obstructive pulmonary disease (COPD) - A lung condition seen in chronic smokers which is characterized by the features of Emphysema and Chronic bronchitis. Interstitial lung disease – A collection of lung diseases which consists of damages and scarring of the lung tissue. Cardiomyopathy – A heart condition which leads to an enlargement of the organ, compromising the effective functioning (pumping) of the heart. Deconditioning – A collective term used to describe obesity and overweight which occurs due to lack of or inadequate physical exercise. Iron deficiency anemia- A poor intake of dietary iron, malabsorbtion and chronic blood loss due to various pathological conditions can lead to a reduction of oxygen carrying capacity in blood, giving rise to shortness of breath over exertion. Obesity hypoventilation syndrome – Severely obese people will develop shortness of breath chronically due to difficulty in chest expansion because of severe obesity. When asked how one manages shortness of breath, the doctor said, “As I mentioned before, it is highly recommended to seek medical advice if you come across any of the symptoms mentioned above. This is because the timely intervention can correct most of the underlying health conditions which are known to give rise to shortness of breath” Dr. Senanayake said. The diagnosis will be made with the help of a detailed history, physical examination and investigation. The physician will take a complete history from you about the nature and duration of signs and symptoms along with a thorough physical examination which will help to get an idea about the possible reason. Furthermore, several investigations such as blood analysis, Chest X ray, Ultra sounding scanning and echocardiography will be important to establish the correct diagnosis. BNP levels- Changes in the respiratory system can be identified. However, we can’t specifically pinpoint a list of investigations to proceed with and it all depends on how you present with and what your history is suggestive of. According to the initial assessment we would proceed with suitable bio-chemical and imaging investigations to arrive at a clear-cut diagnosis. “The treatment modalities for shortness of breath mainly depend on the etiology. Therefore, it is highly important to establish the most accurate diagnosis in order to proceed with treatments accordingly” said Dr. Senanayake. “However, representing the general community your part of the story is to be vigilant of probable features related to shortness of breath as we discussed and to be aware that this is merely a sign not a disease. If you look carefully you will always be associated with other symptoms which will easily offer a clue to the diagnosis” he added. Therefore, the take - home message is that it is best that you or your loved ones consult a medical professional early, so that they will get you evaluated properly and find a cause for your trouble without you having to pant and end up in misery.